SCHLITZE PRODUCTS FOUND ON CAFE PRESS!!! Over 150 exclusive new Schlitze the Pinhead products can now be purchased from Cafe Press! Products include shirts, hoodies, key chains, coffee cups, shower curtains (! ), bedding, beer steins, shot glasses, towels and much, much more! BE SURE TO LOOK AT THE LEFT SIDEBAR OF THE CAFE PRESS PAGE TO NAVIGATE THROUGH TO THE MANY DEPARTMENTS THAT OFFER THESE EXCLUSIVE SCHLITZE PRODUCTS! MGM tried to stop it. Studio employees couldn’t sit in the same room with sideshow cast members without becoming ill. Test screenings were disastrous. It shamed a major motion picture studio. And it decimated the career of a famed director. 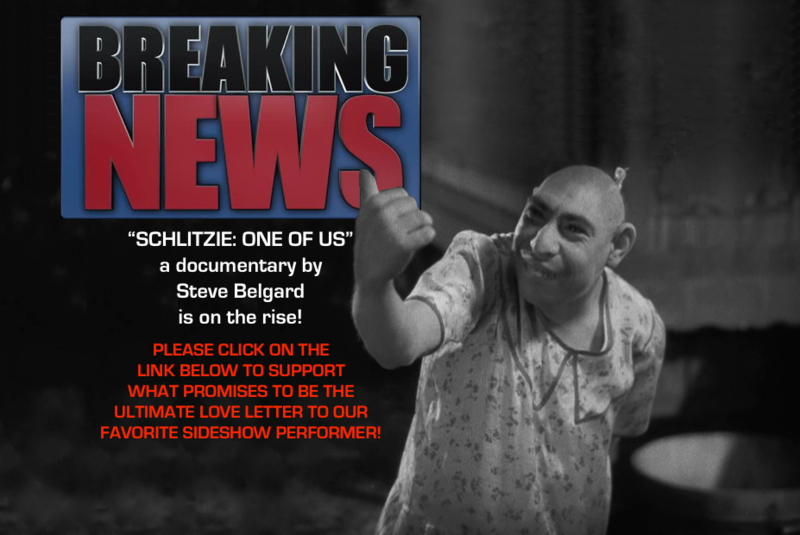 “One of Us” celebrates the differences in all of us and, with the assistance of the beloved sideshow cast from “Freaks,” leaves us with a very powerful message: Being Different is Only Human. 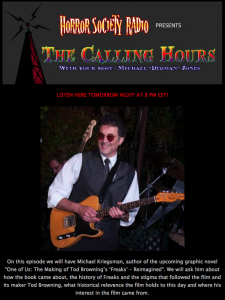 Podcast aired on Tuesday night, February 17 at 5pm PT / 8pm ET on Horror Society Radio. 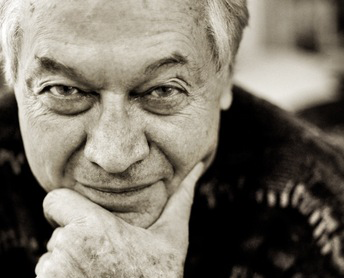 Roger Corman, the most prolific filmmaker in Hollywood, has written the introduction to the upcoming graphic novel “One of Us: The Making of Tod Browning’s ‘Freaks’ – Reimagined.” Corman’s cult film empire is responsible for launching the careers of Robert De Niro, Martin Scorsese, William Shatner, Jack Nicholson, and many more. His “One of Us” intro sets the stage for an exciting behind-the-scenes cinematic adventure. Copyright © 2014 One of Us Entertainment, LLC. All rights reserved.